Waters & Stanton Blog » Blog Archive » Peter Waters Drums Up Business! Back in May W&S were invited to the Icom Dinner, in Dayton, Ohio, on the eve of the 2011 Hamvention. 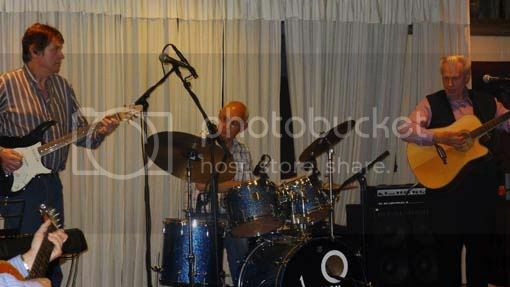 During the evening there was live music, and Icom invited anybody among the guests who would like to play with the band. Peter Waters, G3OJV, is a drummer in his spare time, and he volunteered. Peter played one of the evening sets with the band and here he is in action in the photo. A lot different from his day job! This entry was posted on Wednesday, June 22nd, 2011 at 10:29 am and is filed under Company. You can follow any responses to this entry through the RSS 2.0 feed.You can skip to the end and leave a response. Pinging is currently not allowed.